Georgina Ciotti is a multi-disciplinary artist whose work includes muralism, sculpture, fashion design, illustration and special effects. She first began painting in the streets in the early 2000’s while living in Barcelona. She found that the streets provided the perfect outlet for experimentation and has continued to use the public realm as her canvas ever since. In her special effects work, she was part of the team that worked on the Oscar winning Pan’s Labyrinth, directed by Guillermo del Toro. Georgina’s work is highly visual. 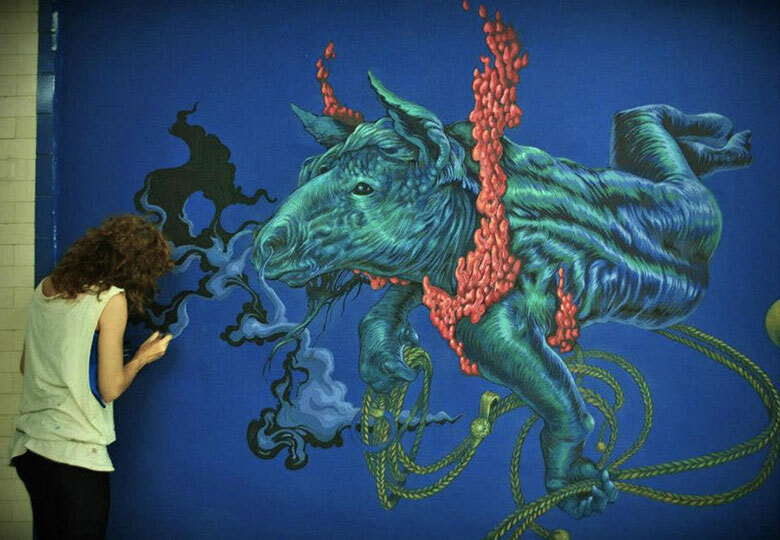 She creates intricate figurative pieces that depict animals or female characters combined with elaborate decorative elements, resulting in surreal and fantastical compositions. 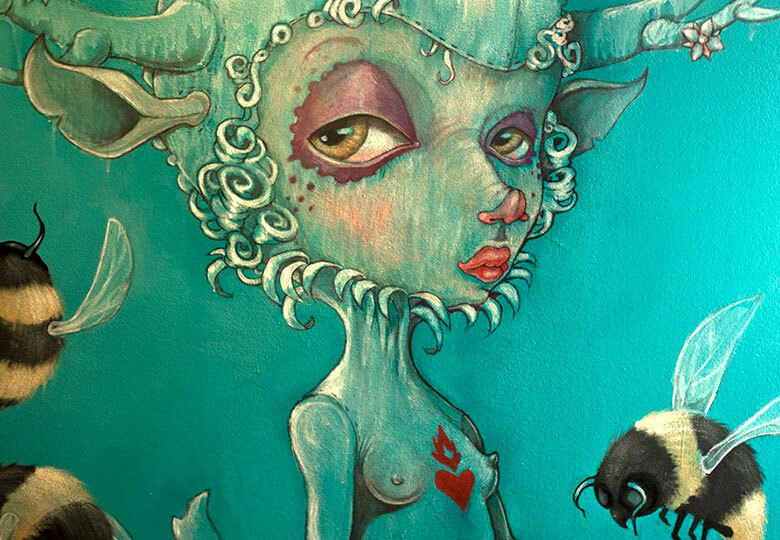 The mythical creatures depicted in her ethereal paintings offer a glimpse into a parallel universe, both beautiful and bizarre. Ciotti has extensive experience working in different mediums, however her focus is in painting. Specializing in murals and site specific interventions her works can be seen on the facades and internal spaces of businesses and residences from Barcelona to Buenos Aires.